Warner Home Video, Warner Premiere, DC Entertainment and Warner Bros. Animation announced today they will present an action-packed hour of first looks at DC Universe Animated Original Movies properties on Friday, October 14 from 3:00-4:00 p.m. at the New York Comic Con. 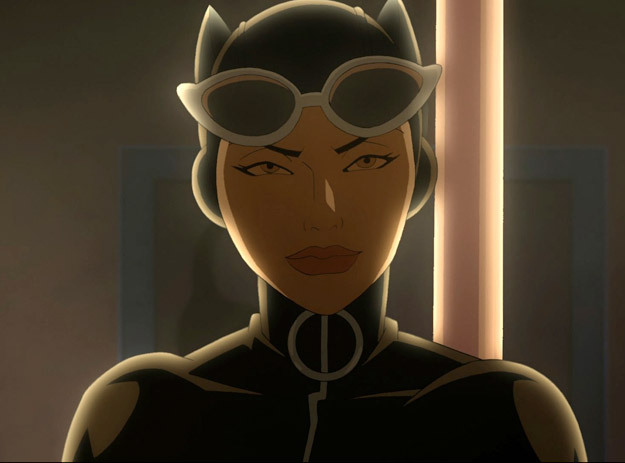 Central to the panel will be the premiere of the animated short Catwoman (image below), starring Eliza Dushku ("Buffy the Vampire Slayer," "Dollhouse") as the voice of title character. The 15-minute short will be included on the release of Batman: Year One, which streets October 18 on Blu-ray, DVD, for Download and On Demand. The panel will also include the very first footage to be seen from Justice League: Doom, the next entry in the ongoing series of DC Universe Animated Original Movies.